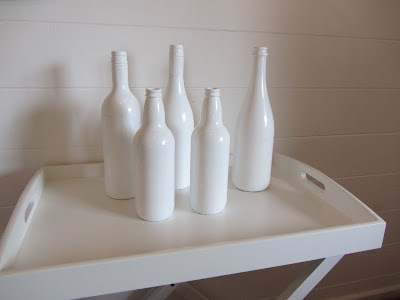 These run-of-the-mill empty wine bottles look fantastic painted white and placed together on display. I used an undercoat and then a semi-gloss topcoat for the painting (both were water-based). I thought they'd be lovely as part of a white Christmas themed home, or maybe somehow as a simple table centrepiece. 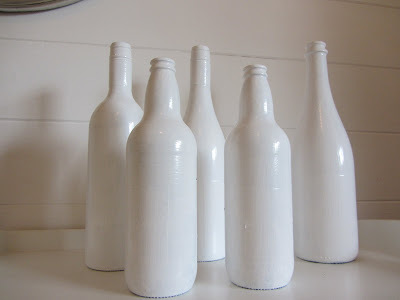 You could also use them as a base for a small rustic Christmas tree using sticks. 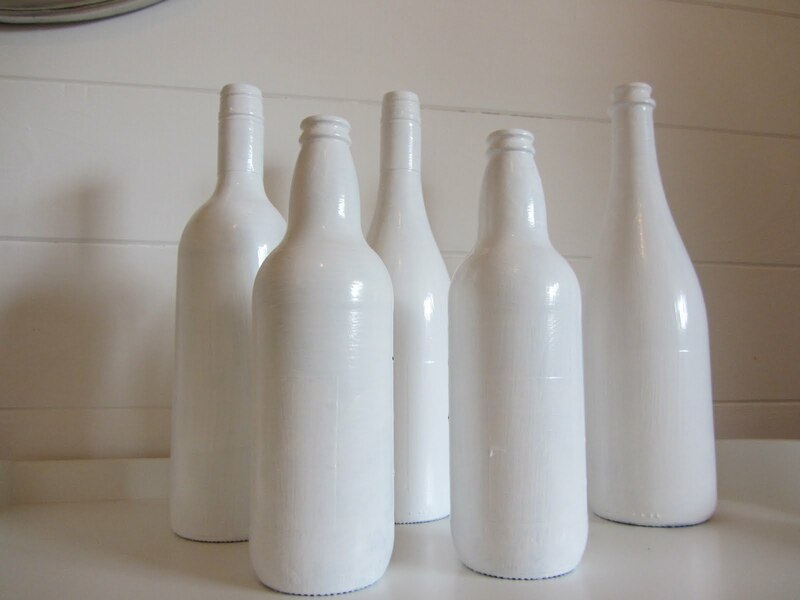 The only thing to remember when painting wine bottles is to make sure you paint inside the rim at the top a bit. Otherwise you won't end up with the same look! Christmas Present Ideas For Under $3!